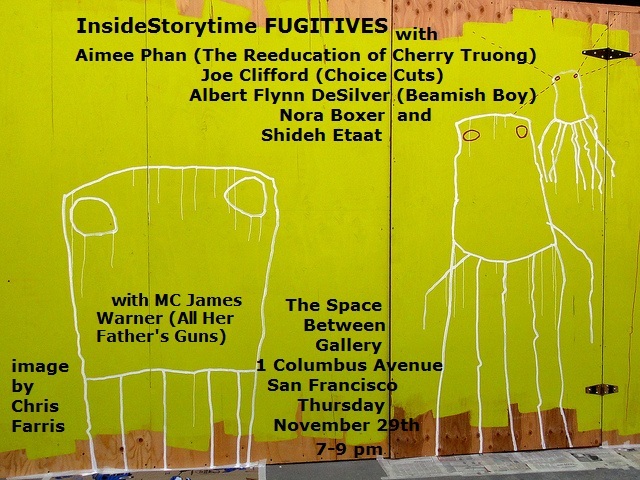 At our only ever Space Between Gallery event, Aimee Phan read of beauty salons and pirates. Joe Clifford told a tale of trouble that starting with buying a pregnancy test at a gas station. Albert Flynn DeSilver, appropriately given the venue, explored the significance of making a giant ball of aluminum foil. Nora Boxer built into a crescendo of utter engagement with the fire. Shideh Etaat told a story of young love during Iran's Green Revolution.